Investors have a weakness for low-priced stocks. The logic is pretty easy to see: If you buy shares at $1.00, and the stock takes off, you can pocket a bundle. But if you're wrong, this line of reasoning goes, you only lose a buck. Unfortunately, when it comes to low-priced stocks, the situation isn't always that simple: That $1.00-a-share stock isn't always "cheap" – while that $100-a-share stock can end up being the real bargain. "Buy low and sell high" is more than just a trite investing axiom – it's the formula for investing success. But exactly what do we mean when we say "buy low?" Take that $1-a-share stock. If a company has falling profits, negative net worth and a dying product line (e.g., typewriters), that $1.00 stock could actually be quite expensive. But if the company whose shares are trading at a buck has cash in the bank, no debt, a high "intrinsic value" and a growing market for its trendsetting products, it could easily be a real bargain at $100. The key in both cases, of course, is value. Finding stocks that are selling at a cheap price relative to their true worth can be an investors' next big portfolio winner. So, how do you identify stocks that are both low-priced and a bargain? Be aware, however, that this is not the same as seeking out stocks that are setting new 52-week lows. In fact, you ideally want to see stocks that hit new lows earlier but have since bounced 10% to 15% from those bottoms. That indicates the market has begun to recognize the value inherent in the beaten-down shares and is beginning to reward it. Another thing you can do to eliminate candidates at this point is to look at the stock's longer-term chart – say, one covering five years – just to see how long it has been in its recent downtrend. If it has fallen steadily through several short-term cycles, failing to react to broader market upturns, it likely indicates the company has larger problems than a simple negative reaction to current economic conditions. Once you've assembled a group of stocks whose prices have been beaten down – which can include stocks that have gone from $200 to $100 as well as those that have gone from $10 to $5 – the next step is to start assessing the level of value underlying the current price. There are several ways to do this – simply because there are several definitions of a "value stock." Fortunately, however, there are some long-established, widely embraced measures that can take out the guesswork by allowing you to actually quantify just how much of a bargain a particular stock might be. Some analysts define value stocks as those in popular or fast-growing business sectors that have yet to reach their full potential. This category can include small or relatively new companies, which may be exceptions to the "beaten-down" price criterion since they haven't yet had time to rise and then fall back. Other analysts prefer to define value companies as those that have shown slow, steady progress year after year, increasing sales and earnings without generating enough recent excitement to spark a big advance in the stock price. Finally, some stocks become underpriced just because their entire industry falls out of favor with analysts or investors. Whatever the broad reasoning, truly "cheap" stocks are those that have significant intrinsic value as yet (or currently) unrecognized by the market – value that should eventually show up in the stock price over the longer term. Price/Earnings (P/E) multiple – As a rule, a value company will be a profitable company (the exception being some firms with large reserves of natural resources) – and the share price relative to those profits can help you determine whether the stock is a bargain. The P/E ratio is determined by dividing the stock price by the stated earnings – e.g., a $20 stock with $2.00 in earnings would have a P/E of 10. In seeking value, the lower the P/E the better – though there's no absolute number that's "good." For that reason, with respect to this and other financial measures, always compare a company you're considering with others in the same industry group. In some sectors a P/E of 10 is low; in others, a P/E of 30 might indicate a stock is undervalued for its industry. Average return on equity (ROE): Sometimes a stock will be a bargain because the company had a bad quarter or a bad year and the market overreacted. However, unless there's a major change in product demand, technologies or sales strategies, companies that have been profitable in the past tend to return to profitability in the future. By examining the average ROE over the past five years or so, you can gauge the expected future return. For best results, most analysts like to see an average ROE over time of 5% to 10% or greater. Current ratio (CR): This is a measure of a company's debt to equity and is determined by dividing its current assets by its current liabilities. A higher CR is better, and it should always be above 1.00; a reading below that means a company has too much debt and thus might have trouble paying short-term expenses or funding ongoing operations. Long-term earnings-per-share (EPS) growth: Instead of looking at future growth projections, it's often more valuable to look at past earnings. Most value-oriented fund managers like to see steady EPS growth over a period of at least 10 years, with a minimum of 30% cumulative growth and no losses within the past five years. As noted earlier, all of those numbers can be plugged into most stock screeners to help you come up with a list of "bargain" candidates – and you can tighten or loosen the parameters if you want more or fewer choices. Healthy margins on existing products and overall operations. A talented and forward-thinking research staff. A solid sales strategy and quality salespeople to implement it. And an established and expanding market territory. Companies with all these attributes are rare, but looking for them can help you spot potential trouble that could cloud your long-term outlook for a "cheap" stock. Citigroup Inc. (NYSE: C), recent price $4.55: To prove that all bargain stocks don't have to be hidden gems, consider this "too-big-to-fail" bank. After trading above $55 a share in 2007, Citi got crushed in the 2008 financial collapse and has struggled since. However, it's now profitable again, plans a 10-for-1 reverse stock split in May and will also be resuming its dividend. What makes it most attractive for the long run, however, is its price-to-tangible-book-value ratio of just 1.02 – down from a 10-year-high of 5.24. In essence, you're getting right at a dollar's worth of real assets for every dollar you invest now. Audiovox Corp. (Nasdaq: VOXX), recent price $7.40: An international distributor of consumer electronics products, audio systems and sound accessories under a variety of brand names (including some biggies like RCA), VOXX offers access to some of today's fastest-growing consumer markets, especially in South America. The company earned 83 cents a share in FY2010, bouncing back sharply from a loss in 2009's weak economy. Return on equity was 6.38% in 2010. The operating margins are a little thin right now, and the debt ratio is a little high, but that's owing to VOXX's March acquisition of premium speaker manufacturer Klipsch Group. The biggest plus is that VOXX is one of the few companies with a market capitalization above $100 million that's currently trading at or below its net asset value. Metalico Inc. (AMEX: MEA), recent price $5.53: With prices for everything soaring and raw materials becoming more and more scarce, MEA is well positioned for growth. It recycles scrap metal and makes lead products for use in everything from nuclear shielding to stained-glass windows, plus supplies materials for balance systems in aircraft. The company's margins are good; it had an ROE of 8.48% in 2010 and its most recent earnings were 29 cents a share, giving it a P/E of around 19. The stock traded above $17 in 2008. Analysts are projecting continued earnings growth and a return to at least $10 a share over the next 12 months. General Maritime Corp. (NYSE: GMR), recent price $2.15 – GMR currently has heavy debt, a current loss of $2.64 a share, and terrible ratios. Its stock certainly qualifies as beaten down, having traded above $44 as recently as mid-2007. However, it owns and operates 31 double-hulled supertankers that can carry 3.9 million tons of crude oil and refined petroleum products. 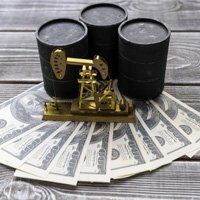 Its client list includes Chevron Corp. (NYSE: CVX), Exxon Mobil Corp. (NYSE: XOM), ConocoPhillips (NYSE: COP) as well as others, and with the current world oil situation, it seems rife with potential – especially since there's been a substantial amount of insider buying of late. One final word of caution regarding bargain hunting in the market: Once you've selected a low-priced stock, it's important to exercise some patience. Absent a takeover bid from some larger company wishing to add undervalued assets to its own balance sheets, it almost always takes time for a low-priced stock to become a high-priced stock. As Money Morning Chief Investment Strategist Keith Fitz-Gerald noted after the 2008 market collapse, "When buying on the 'cheap,' you have to understand that the near-term outlook often stinks." Still, if you select well, targeting low-priced stocks can allow you to ferret out true "bargains" – and allow you to maximize your profits as a result. After all, think back to 2002, when in the wake of the dot.com bust Apple Inc. (Nasdaq: AAPL) traded at $6.60 a share. Today, it stands above $340. Dear Larry D. Spears, can you be a contribting writer in trivet business review in Nigeria, with responsibility of covering, analysing and valuing UK and US securities. Pls revert with your expectation and how we can sign MOU. I am a senior with what is considered a small porfolio(100K) and not a lot of savvy or experience. I cannot express to you what it means to me to have access to this kind of material & information from a source in which one has confidence & respect.